“What is it like inside an American nightclub?” The question from a young North Korean woman startled me. 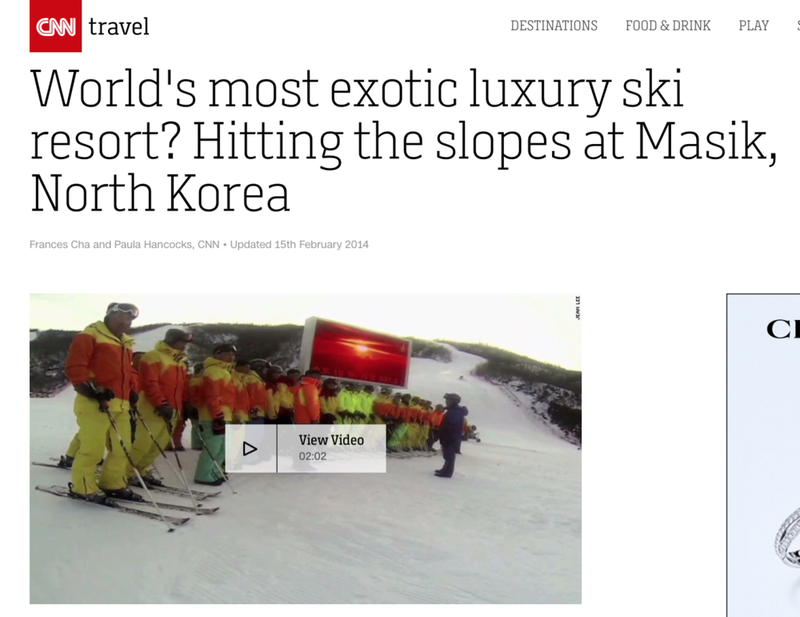 Video footage by Jean H. Lee shot at Masikryong ski resort in January 2014. Video and photos from Masikryong ski resort, shot in January 2014 just weeks after the resorts' opening. A triumphant North Korea staged a mass rally of soldiers and civilians Friday to glorify the country's young ruler, who took a big gamble this week in sending a satellite into orbit in defiance of international warnings. Wednesday's rocket launch came just eight months after a similar attempt ended in an embarrassing public failure, and just under a year after Kim Jong Un inherited power following his father's death. The surprising success of the launch may have earned Kim global condemnation, but at home the gamble paid off, at least in the short term. To his people, it made the 20-something Kim appear powerful, capable and determined in the face of foreign adversaries.